Quote Of The Day - Charles Blow - Joe.My.God. “No, you cannot have your country back. America is moving forward. an update: that America is no more. Republicans are trying to hold back a storm surge of demographic change with a white picket fence. 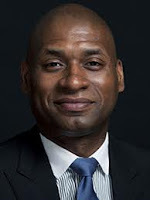 Good luck with that.” – Charles Blow, writing for the New York Times.